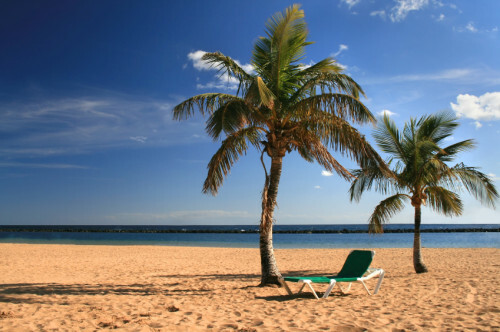 Lanzarote vacation: 7 nights in 3* hotel, flight from UK, transfer for €169! Thomson Holidays now offer incredible prices on Lanzarote vacation packages. 7 nights of accommodation in amazing 3 star hotel together with return flight from London Gatwick and transfer to/from airport will now cost you only €169 / 140 GBP! The accommodation is provided in great Cinco Plazas Apartments hotel with 3 swimming pools and central location in Puerto Del Carmen in Lanzarote. Travel dates are in beginning of May from 4.5. to 11.5. The price is based on 2 people sharing a double room. 15 kg luggage is included in the price of the flight. London is easily reachable from basically any airport in Europe with cheap low-cost Ryanair, Easyjet, Wizzair or Jet2 flights. Book fast before it’s gone! Lanzarote is not big but also not really small island so renting a car to explore it a bit is a good idea. You can get lot of deals due to high competition of car rental companies. The price for 4 days of renting simple car for 4 people starts at about 50€. « Super cheap flights to Sri Lanka: Colombo for only €350!